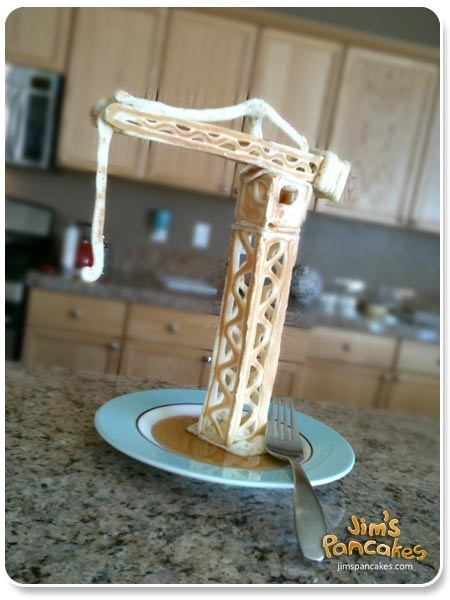 Jim of Jim's Pancakes sure does. 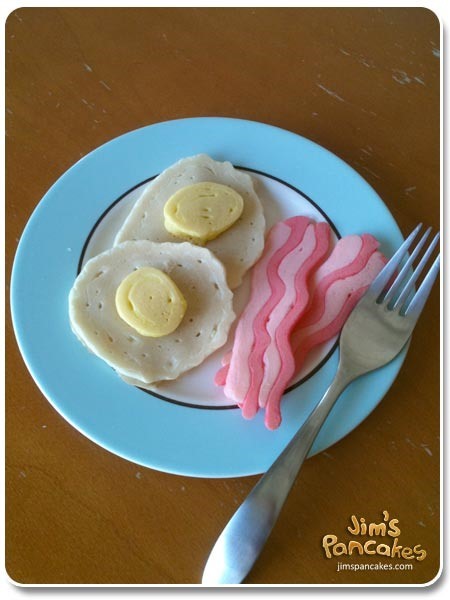 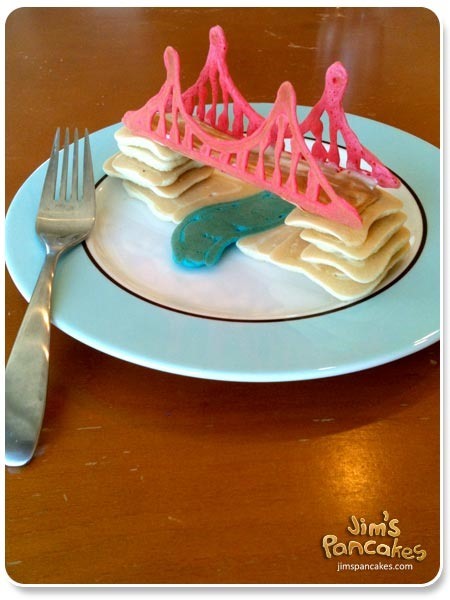 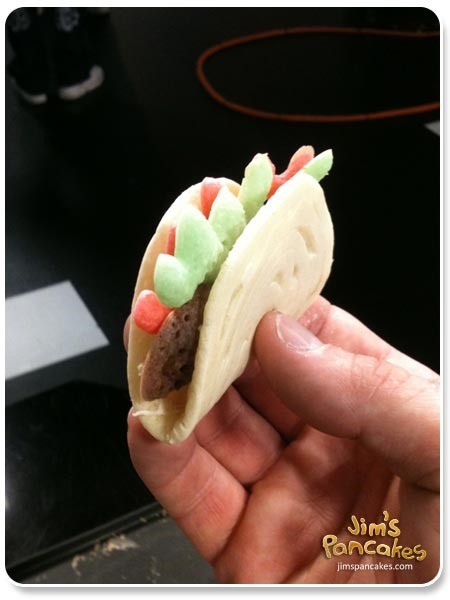 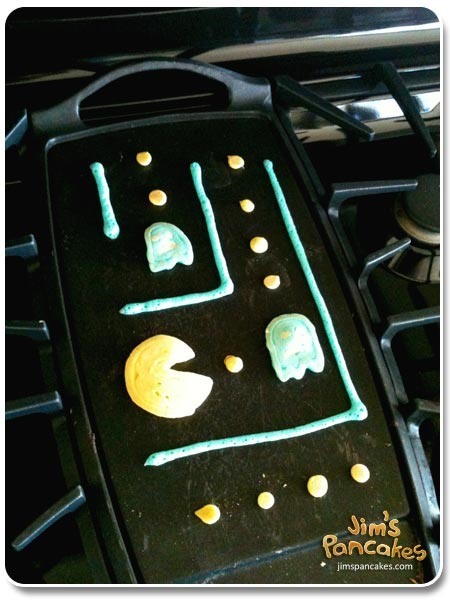 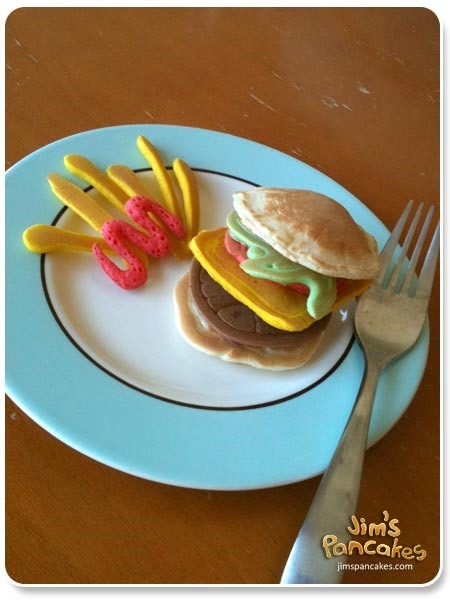 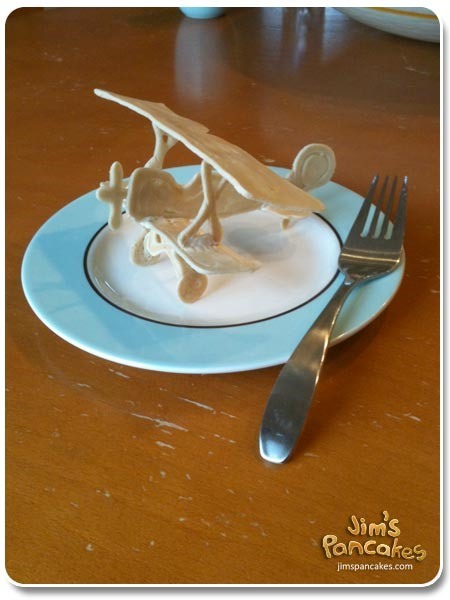 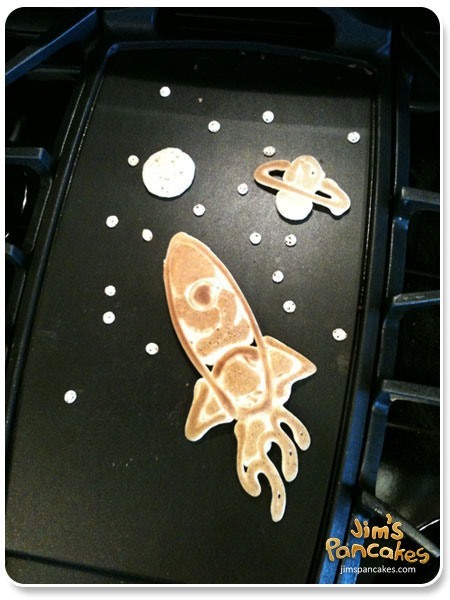 His site is full of cool pancake creations, all constructed for the enjoyment of his three-year-old daughter, Allison. 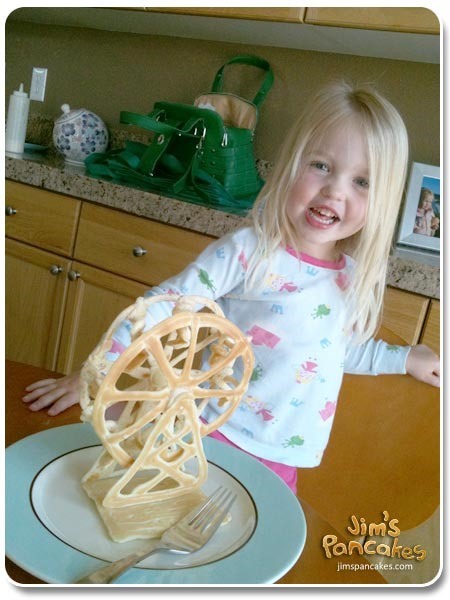 Love the more elaborate structures (like the amazing ferris wheel pictured below). 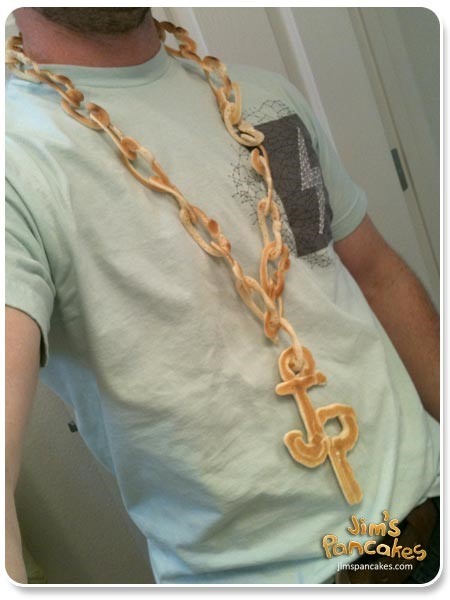 Scroll all the way down for a gallery of videos demonstrating Jim's process.